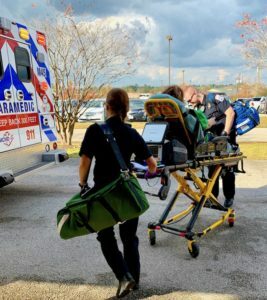 CONROE – Montgomery County Hospital District is ranked #1 in the U.S. for customer service for the fourth-consecutive year, according to a report analyzed by an independent company, EMS Survey Team. More than 3,500 MCHD patients were surveyed for the study. 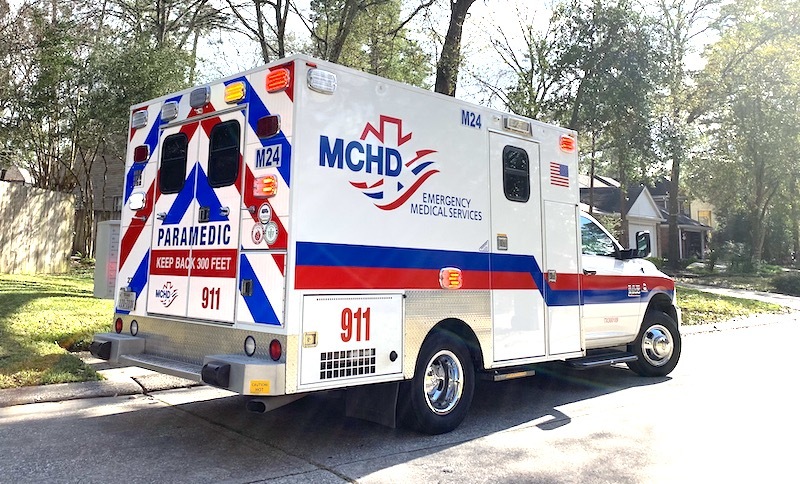 MCHD was ranked based off 20 performance metrics, and MCHD’s overall score of 95.43 ranked #1 among all similar (large) sized EMS service providers. That is service providers that had over 1,500 patient contacts per month. MCHD Assistant Chief of EMS James Campbell applauded this accomplishment. Five areas of patient engagement were ranked by patients after receiving services from MCHD. These areas include: dispatch, ambulance, medic, billing staff and overall assessment. The scores were analyzed, and MCHD’s benchmark scores exceeded the Texas average in every category. The Top 5 greatest scores above benchmark for MCHD in the report were: degree to which the medics listened to you and/or your family (96.74), skill of the medics (96.62), degree to which the medics took your problem seriously (96.98), extent which medics cared for you as a person (97.21), and care shown by the medics who arrive with the ambulance (97.16). MCHD Board Member Justin Chance, Position 2 At-Large, is proud of the work of MCHD paramedics and dispatchers. Montgomery County Hospital District’s mission is to care for the indigent and provide EMS services while protecting the interest of taxpayers and ensuring long-term stability through fund development. For more information about MCHD, please go to www.mchd-tx.org.